Have you ever wanted to know more about the sport of rowing, also called Crew? 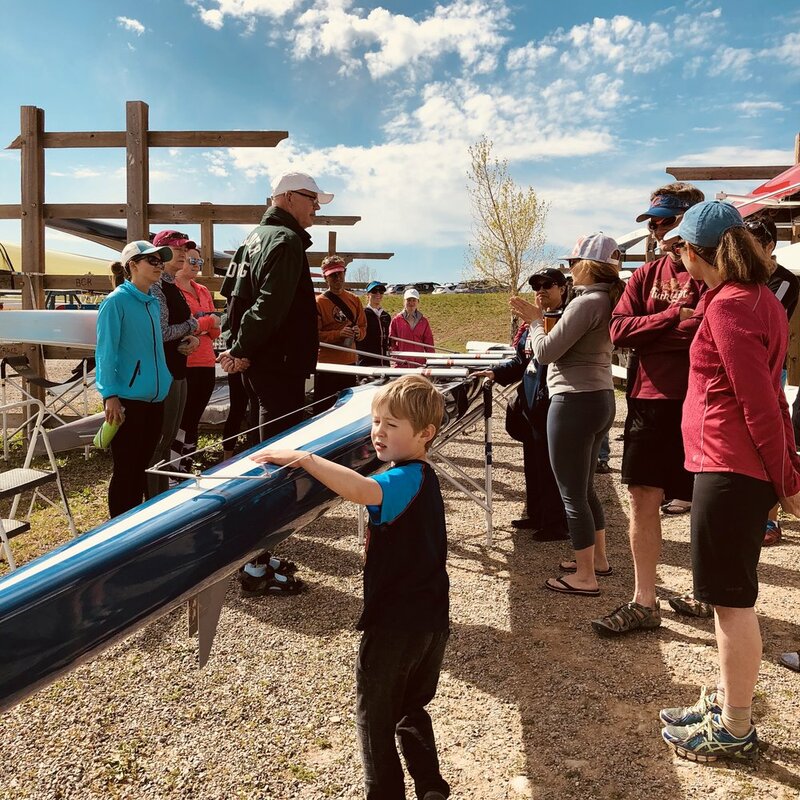 Here is a FREE opportunity to get a taste of rowing at the Boulder Community Rowing Open House. The inner workings of the sleek shells (boats) and oars used in this sport. After some on land demonstrations by our rowers of carrying boats, equipment overview and the like, you will board launches (power boats) with our coaches. You’ll be immersed in the natural beauty and wildlife of Boulder Reservoir, while getting to watch the intricate synchronicity of sweep and sculling rowing at close range. Our coaches will narrate and answer all your questions. If you fall in love with rowing and want to try it out for yourself, during our Open House you will receive 10% off for signing up for our 4 week Learn to Row program which begins May 6, 2019. To register for this event, please go to BCR’s RegattaCentral page, open the ‘Learn-to-Row’ tab and select the Rowing Open House date you wish to sign up for. Like our page on Facebook to get updates and events!